OPTIONS: Available in 16 to 40 foot models,, Type 1AA 375 lbs rating, single type, and fiberglass CATALOG OF OPTIONS. Extension Ladder Rung Lock Set (2). Includes 2 Aluminum Rung Locks and 2 Flippers. 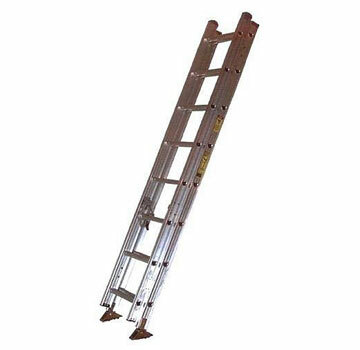 Fits All SUNSET Brand Extension Ladders (Type 1A and 1AA, Fiberglass or Alumimum). Price/Set.